The app educates users on how climate change is endangering the park. 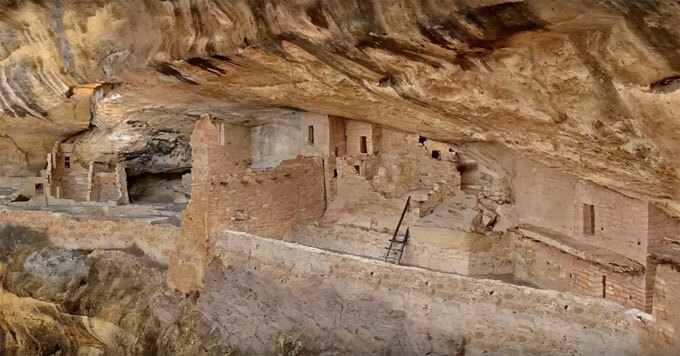 At Colorado’s Mesa Verde National Park, hundreds of cliff dwellings provide a glimpse of how the region’s ancestral pueblo people lived a thousand years ago. Now, using laser scanning and specialized photography, a nonprofit called Cyark has created detailed 3D models of this and other world heritage sites. Elizabeth Lee is Cyark’s vice president of programs and development. Scientists expect intense wildfires at Mesa Verde to become more common. Fires can damage the site, and increase the risk of flooding and erosion after a blaze. Cyark’s goal is to create a digital record of the site that can be preserved for generations to come. And that same record can help educate people now. She says it’s a way to help more people experience these historic places – and get inspired to protect them. Image credit: Cyark’s Mesa Verde video screen capture.